Initially the Commissionerate of Customs, Patna was created in March 1972 vide Govt. of India’s notification No. 95 dated 04.3.1972 with the sole purpose of preventing smuggling activities on the entire Indo- Nepal Border and to monitor the trade activities between India & Nepal and transit of goods from and to Nepal in terms of Indo- Nepal treaty of trade and transit. Customs (Prev.) Commissionerate at Lucknow, came into existence with effect from 02.06.1994, following bifurcation of the erstwhile Customs (Preventive) Commissionerate, Indo-Nepal Border with HQ at Patna. The jurisdiction of this Commissionerate extends over the states of Uttar Pradesh and Uttarakhand, and covers the international border of about 850 kms with Nepal and China including many intractable hill areas and dense forests. The twin objectives of the Commissionerate are Anti smuggling work and the facilitation of the trade with Nepal and China. Anti smuggling work mainly consists of the prevention of, among other things, illegal export of goods to Nepal; illegal import of goods of third country origin from Nepal; diversion of the goods being imported / exported by Nepal under the CTD facility through Indian territory into Indian market; drug trafficking and smuggling of FICN etc. Most of the trade with Nepal is carried out through the mutually agreed and approved routes, manned by Customs on both sides. Besides this, the local people residing on either side of the border have been undertaking movement of goods in small quantities through several traditional passages. 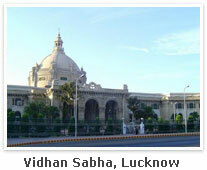 The Commissionerate also has two international Airports at Lucknow and Varanasi. From Lucknow flights to Abu Dhabi, Muscat, Jeddah & Dubai, Sharjah, Singapore, Thailand and from Varanasi Indian Airlines flights to Kathmandu (Nepal) and Sharjah, are operating. Seasonal flights for HAJ pilgrimage are also operational from both the Airports. At present from Varanasi Airport import of only specified raw materials is allowed vide Notification No. 61/94-Cus. (NT), dt. 21-11-94.The Air Cargo facility at Chaudhary Charan Singh International Airport, Lucknow is being allowed under notification 05/99-Cus (NT) dated 27/01/1999. The regulation of the trade with Nepal is undertaken in accordance with; (i) the Treaty of Trade; (ii) the Treaty of Transit and (iii) the Agreement of Cooperation to Control the Unauthorized Trade. In terms of the Treaty of Trade, the export and import of goods to and from Nepal can take place through the Twelve (12) mutually agreed routes on the Indo Nepal border which lie in the jurisdiction of this Commissionerate. These routes and their corresponding points across the border in Nepal have been specified vide the Notification No. 63/94-Cus. (NT), Dt. 21-11-94 (as amended). Exports to Nepal from the Land Customs Stations situated at the mutually agreed and approved routes can also be affected under the export promotion schemes. Import of third country origin goods from Nepal is prohibited vide Notification No. 9/96-Cus.(NT),dt. 22-1-1996, barring a few exceptions specified therein. The bi-lateral Treaty of Transit with India governs transit facility for Nepalese Trade with other countries. Pursuant to this, Nepalese goods can be exported and imported through the Sea port of Kolkata and, after passing the Indian territory, can be moved through the 07 mutually agreed routes ( Land Customs Stations ) on the border in our jurisdiction,viz. Sonauli, Barhni, Nepalgunj Road, Gauriphanta, Tikonia, Jarwa, and Banbasa, notified under Notification No. 63/94-Cus. (NT), dt. 21-11-94. In both the cases, the goods have to be accompanied by a Customs Transit Declaration (CTD) and transported along the inland routes specified by the Government of India in this regard. For the trade with China, Gunji in the District of Pithoragarh in Uttarakhand has been specified under the Notification No. 63/94-Cus. (NT), dt. 21-11-94. Subsequent to the reorganization of Custom Department vide notification no.82/2017- Cus (NT) dt 24.08.2017 (as amended) , this Commissionerate has also taken over all such custom related work w.e.f 15/01/2018, which were hither to performed by CGST Commissionerates of Lucknow Zone, which includes implementation of self sealing/ factory stuffing of containerised export cargo, fixation of brand rate of drawback, Duty drawback for supplies made by DTA units to SEZ, Licensing of customs bonded warehouse etc. For ease of doing business, a Trade Notice No. 01/2018 dated 2.2.18 has been issued by the commissionerate creating 06 Export Promotion Circles at each of the existing Divisions (except Division Bareilly) and ICD Agra and ICD Panki. Besides ICDs in the cities of Agra, Kanpur & Varanasi have also come under the jurisdiction of Customs (P) Commissionerate, Lucknow w.ef. 15/01/2018. 6. ICD Bhadoi with custodian CWC. Apart from above 03 Foreign Post offices at Varanasi, Kanpur and Agra, notified under Notification No. 31/2017-Cus (NT) dated 31.03.2017 falls under the jurisdiction of this Commissionerate. The Commissionerate having jurisdiction over state of U.P. & Uttarakhand with Headquarters at Lucknow, functions under the administrative control of Commissioner of Customs, assisted by Addl./Joint/Deputy/ Assistant/ Commissioners. The preventive Commissionerate draws its Gr. B, C and multitasking staff from Central Excise & CGST Zone Lucknow, which is cadre controlling authority for the officers/staff in these groups. The Commissionerate has been divided into 5 Customs Divisions headed by the Dy./Asstt. Commissioners and have their Hdqrs. at Lucknow, Bareilly, Gorakhpur, Nautanwa and Varanasi. These Divisions are further divided into Customs Mobile Preventive Unit (CMPU) and Land Customs Stations (LCS’s) falling in their area. Further, for ease of doing business, a trade notice no. 01/2018 dated 02.02.2018 has been issued by this commissionerate creating 06 Export Promotion Circles (EPC). 04 existing Preventive Divisions at Nautanwa, Gorakhpur, Varanasi and Lucknow have also been designated as Export Promotion Circles for the purpose of facilitating the exporters and importer earlier being carried out by the Central Excise formations. The other 02 Export Promotion Circles are created at ICD Panki at Kanpur and ICD Agra at Agra for facilitating the trade, exporters and importers of adjoining areas/districts of Uttar Pradesh.